We have slowly been making changes around our place in order to transfer our house into a home. Mainly we've been moving a counter in the kitchen and switching most of the yucky carpet and tile on the main floor to laminate. (Pics of that to come soon... as soon as the counter is finished) But, we've also started hanging frames and little things like that. 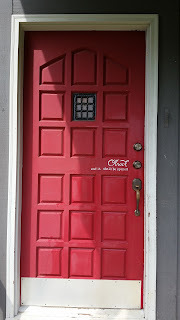 One thing I've done recently is add a little phrase on the frontdoor. 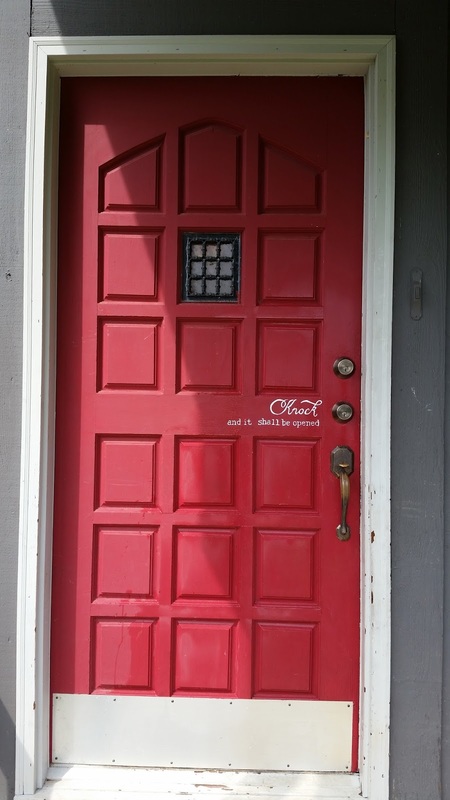 I'm sure you have seen on pinterest where people put the word "welcome" or "hello" beside the door knob. I really liked the looks of that, but I wanted something different. I like to decorate with Bible verses. It helps to surround myself in and have constant reminders of God's word. 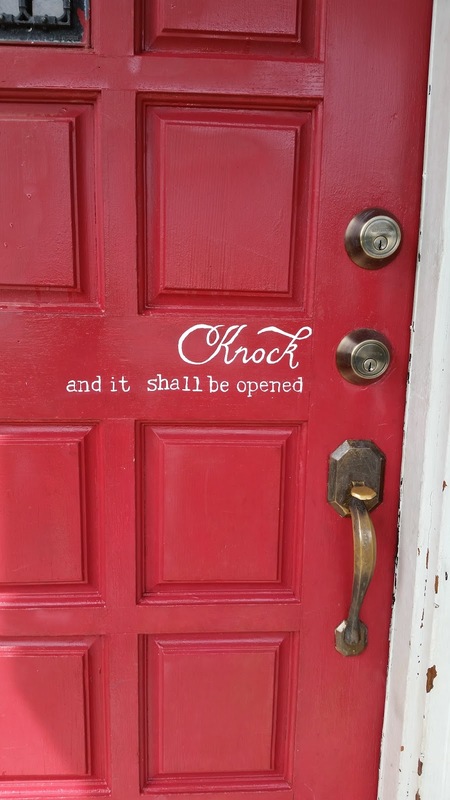 So when I came across Matthew 7:7 7 Ask, and it shall be given you; seek, and ye shall find; knock, and it shall be opened unto you: I was instantly inspired to use part of that verse as my "word on the door". I really like it! The bottom phrase got a little wonky but I will try not to let my OCD take over, and try not to let it bother me. I really should have waited till the kids were in bed so that I wasn't wrangling 6 kids (5 of mine and my nephew) to stay in the house while I painted it. You live and learn, right? Maybe someday I will repaint it, but it'll have to stay the way it is for now. What do ya think? 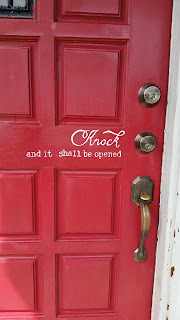 Do you like phrases on the door? 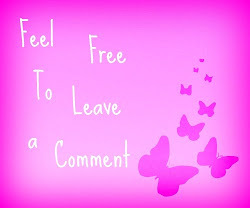 Have you thought of any different ones to use?